To post to the Forums you must be logged in to Roll20. If you are logged in, you will see a message in the upper right corner that says Welcome, <your name>. Either you need to Create Your Free Account. Or Sign In by clicking the Sign In ▾ label. View the Full Forum by clicking the View Forum » link to the right of the forum name. Click the Post New Topic button at the top right of the Forum's main page. Add a descriptive Topic Title and fill in the body of your post, then click Post Topic to submit your post. Note: If you made an error in the body of your post, you can edit it by clicking the post and selecting the Edit option just below the title. Be sure to click Save Edits when you are done! There are several different forums you may have access to, each with it's own purpose. When posting on the Forums, you have several formatting options at your disposal. Generally, you can get away with just posting raw text as you write it, but there are some times when formatting can help get your point across more clearly. When posting Macros, Dice Expressions, or API Code Snippets, consider using the Code format option, available by clicking the paragraph symbol ( ¶ ) and selecting it from the list. Beside a user's name, you may see a rounded colored tag. These help fellow forum users know of the roles a particular poster has. : The Roll20 Development Team are the individuals responsible for the creation, maintenance, and implementing future improvements of the platform. : The Roll20 Forum Moderators moderate the official Roll20 forums. : Community members who have gone above and beyond assisting their fellow users. This badge recognizes their past and continued efforts for the community. 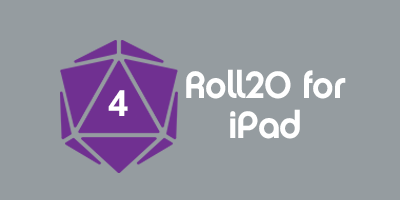 : This tag is given to any user who has supplied creative content to the Roll20 Marketplace. : This tag is given to any user who has successfully submitted a community character sheet. : This tag is given to any user who as submitted a community API script. : This tag is given to any user who is part of the volunteer Roll20 Translator Program. : This user tag is given to users who helped launch Roll20 with the Kickstarter Campaign. : This user tag is given when a user has subscribed to the Pro tier. : This user tag is given when a user has subscribed to the Plus tier. This page was last modified on 15 January 2019, at 16:53. This page has been accessed 13,170 times.